The seventh art is a pleasure for our senses, like a glass of champagne, which has had its moments of glory on the big screen and now is time to recognize its great performances in emblematic films of cinema. 1. James Bond: a film that is an icon in the UK and around the world, where, as we know, glamour and exclusivity are present within each of the works that take part of the saga. As we have seen, the best bottles of champagne, like Bollinger and Dom Perignon, have positioned themselves as the quintessential drink of our favorite spy. 2. Champagne: What any other film could be on the list than this precisely? The famous work of the legendary Alfred Hitchcock tells us in this silent film, back in the late 20s, the story of a young elite, high-class girl living at the expense of her dad’s champagne business. You will never forget the scene in the great glass of champagne at the beginning and end of the film, which has been copied again and again since then throughout the film universe. 3. The Great Gatsby: going to modernity and contemporary times, we have this film based on the novel by the great author F. Scott Fitzgerald, where we find our beloved Leonardo DiCaprio personifying the protagonist Gatsby, where we can see the great feasts that they were assembled and where this frothy drink was the last thing he could miss. 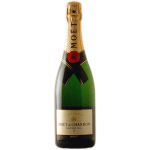 Although the novel never mentions any specific brand or house, the writers for the film of 2013 decided to opt for Moët & Chandon, which we see throughout the film. Undoubtedly, a space of more than two hours full of advertising for the French house.